The confirmation of crucial oil and gas resources in south-eastern Ethiopia is likely to benefit the country as a whole, but will inevitably escalate tensions with the Ogaden community. Already facing high levels of poverty, the Ogaden people continue to be the victims of gross human rights abuses; their territory, homes and crops are deliberately destroyed by Government military forces in order to facilitate the establishment of foreign oil extraction companies. New allegations of scorched earth evictions of the Ogaden people have raised concerns that a lack of benefit sharing could escalate instability in the region and reinforce separatist tensions as foreign energy companies prepare to extract oil and gas from troubled southeastern Ethiopia. "The resources in this region will make Ethiopia rich but will keep us impoverished. A settlement is all we can hope for to protect our claim to some of the economic advantages of our natural resources," Ogaden National Liberation Front (ONLF) founder Abdirahman Mahdi told IPS. The demise of Ethiopian dictator Hailemariam Mengistu in 1994 triggered a two-decade conflict between the government of Ethiopia and the ONLF. The ONLF has been fighting for self-determination of the eight to 10 million Somali ethnic population living in the Ogaden basin within the Somali National Regional State (SNRS). The government's heavy paramilitary response to the insurgency has created "a humanitarian crisis throughout the Ogaden [basin] where half of the population live through famine," said Mahdi. Reports of forced evictions and human rights abuses in the vicinity of oil and gas fields is creating a new wave of grievances against the government in local communities. "The army came to our community and burnt our homes and our crops. Our situation is getting worse as the military want many villages removed because of the search for gas. "Many people in this area have been arrested. We don't know where they are or if they are alive. 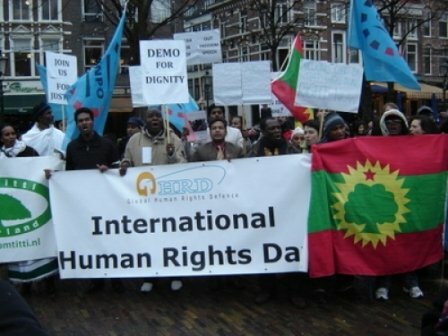 Our situation is very bad," one Ogaden man, who asked to remain anonymous, told IPS. The confirmation of huge oil and gas reserves in the Ogaden basin is set to spike Ethiopia's wealth as investment starts to pour in from foreign energy companies. Gas deposits in the Ogaden basin are estimated at 2.7 trillion cubic feet over an area of 350,000 square kilometres. Currently there are three oil companies finalising exploration in the area: Africa Oil (Canada), South Western Energy (Hong Kong) and GCL Poly Petroleum Investment (China). Ethiopia has been Africa's fastest-growing economy in recent years and could soon be an oil-producing economy. However, a government embargo on the Ogaden has severely isolated the region's predominantly pastoralist population from Ethiopia's development gains. Any prospect of consultation over resource extraction at this stage look slim, says Ogaden expert Professor Tobias Hagmann from the Roskilde University in Denmark. "It is very unlikely that the local population will be consulted about local projects. They are not allowed to voice political dissent. How can they be allowed to participate in local decision-making related to development plans," he told IPS. Government spokesperson Shimeles Kemal told IPS that oil and gas riches "will contribute to the development of the SNRS including the Ogaden region." The Ethiopian government has been criticised by rights organisations for preventing NGOs from providing humanitarian aid to one of the poorest regions of Ethiopia and creating an exodus of thousands of refugees. Amnesty International's researcher on Ethiopia Claire Beston told IPS that the Ethiopian government's clampdown on the Ogaden Somali population "has severely restricted access to and within the region, including that of humanitarian agencies, and has also placed major restrictions on information coming out of the region about the true state of the humanitarian and human rights situation there."